We’ll be home for Christmas – and so will a handful of our suppliers, too. It’s that time of year again, when a bunch of places close up shop and head off to roast chestnuts, open up brightly-colored packages with family and friends, and consume mass quantities of holiday food and drink. alpscontrols.com will be closed from Wednesday 12.24 through Friday 12.26, and we’ll also be closed on January 1, 2015. BAPI will be closed on December 25th, December 26th, and January 1st. Beaver Steel will be closed will be closed 12.25, 12.26, and 1.1.15. Belimo will be closed on 12.24 and 12.25 and New Year’s Day, 1.1.15. Blue Ridge Technologies will be closed on December 24th and 25th, and also on December 31st and January 1st. c3controls will be closed 12.25, 12.26 and 1.1.15. Functional Devices will be closed December 24th through December 26th. Their last shipment will go out at 3PM on December 23rd. They’ll also be closed January 1st with their last shipment going out at 4PM on December 31st. Jackson Systems will close at 12:00 PM ET on Wednesday, December 24th and all day Thursday, December 25th. They will reopen on December 26 for normal business hours. Their offices will be closed on January 1st, re-opening on January 2nd. 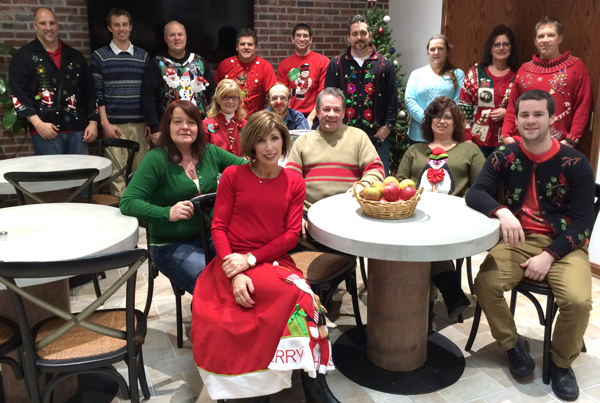 Johnson Controls Product Sales Operations Team in Milwaukee, WI will be closed for the holidays December 24th, 25th, and 26th, and January 1st and 2nd. Lynxspring will be closed at 12:00 PM on December 24, and then all day on 12.25, 12.26, and 1.1.15. Neptronic will be closed from 12.24 until 1.5.15. Ruskin is closing for the holidays on 12.24, 12.25, and 1.1.15. Spartan Peripheral Devices will close at 12:00 PM on Tuesday, December 23rd and will reopen again on Monday, 1.5.15. And HEY, have you checked out our 2014 Christmas video yet? If not, give it a good, old-fashioned, Christmas miracle-y watch on our site right here. We’ve been telling you for years that the room pressure monitors made by Setra Systems are the industry’s gold standard for accuracy and dependable results — and now that the Ebola virus has created medical facility preparedness as a top priority here in the United States, we’re seeing Setra products at the forefront of this critical effort. On the Setra blog you can find even more informational resources, including Are US Hospitals Equipped For An Infectious Epidemic? and Best Practices for Isolation Room Safety. They’re good reads about an important topic — go take a look today. Browse the full line of pressure monitors from Setra Systems on alpscontrols.com. 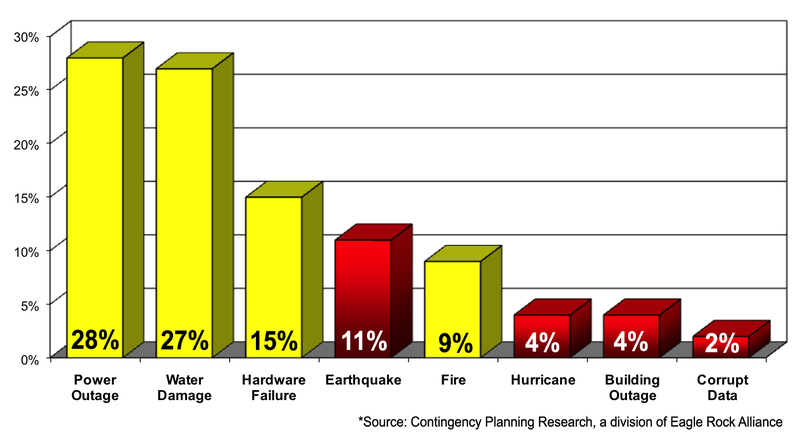 For protection from disaster, RLE Technologies monitoring solutions can make all the difference. 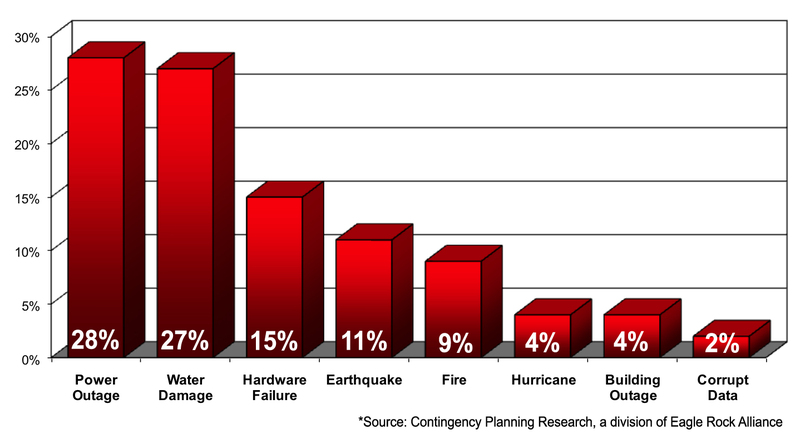 RLE Technologies provides monitoring solutions for your critical facilities to guard against catastrophic water damage and downtime. No matter what assets you need to protect — technology, documents, equipment, or even priceless works of art — RLE Technologies has a solution that will quickly detect an environmental threat and take action to either mitigate the problem or notify the people that need to know. Today, thousands of facilities worldwide rely on RLE’s products to protect them from disasters — and your facility doesn’t need to be the one to pay the price for having the wrong monitoring system or no system in place. But certainly every facility is unique. Your facility no doubt has specific monitoring needs based on its susceptibility to water or chemical leak damage — so why not take a quick look at a leak detection checklist to help safeguard your business against the possibility of severe water damage? This checklist will help you identify threats and problem areas in your facility, consider your best solutions, and be proactive in averting a disaster before it happens. 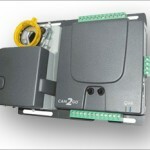 Browse the full product offering from RLE Technologies on alpscontrols.com. Let’s do the numbers: in 2014, the HVAC industry is feeling optimistic about technology, growth and success. It should come as no surprise to anybody that the beginning of a new year often brings with it a sense of hope and renewal. People like to make resolutions, do projects they’ve been putting off, reconnect with old friends, that kind of thing. You can blame the Roman god Janus if you like, or perhaps the Gregorian Calendar we’ve been using since the late 16th century, but January has long signified a time to start over — and look forward. And when it comes to the HVAC industry, it sure looks like a sense of growth and optimism is on tap for 2014. One report from Navigant Research suggests that global spending on energy-efficient HVAC systems — which was already on the rise in 2013 — will experience even more substantial growth in 2014, and will surpass $33 billion in annual revenue by 2020. 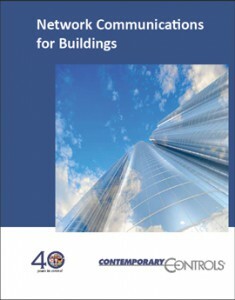 Even more specifically, Navigant also forecasts a nearly doubling in annual revenue spent on commercial building automation systems from 2013 to 2021, in part due to the industry’s technologies that “…continue to evolve from point solutions built from proprietary products toward open and integrated systems converged with modern information technologies,” according to this report. In fact, last year in an annual survey (via achrnews.com) of 250 heads of energy in 20 industries all over the world, 45% of corporations said that they’ll spend more on energy management — including renewable energy, HVAC, lighting, building technologies, energy software, and energy services — in 2014 than they did in 2013. About one-third of respondents to the survey cited cost savings from proper building energy management as the primary motivation for the increase in spending. So where will that increased spending be realized? 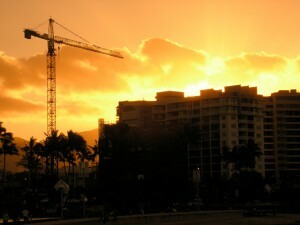 Well, from an increase in U.S. constructions starts. In its 2014 Dodge Construction Outlook, McGraw-Hill Construction predicts that total U.S. construction starts for 2014 will rise 9% to $555.3 billion, up from the 5% increase that was estimated for 2013. This measured expansion, due in part to growing improvements in bank lending, and interest rates that are expected to remain low, will be partially found in a 17% increase in the construction of commercial buildings, with warehouses and hotels leading the way. Even institutional buildings are expected to see increases – and although they’re expected to be relatively small increases, they’re significant to note because construction of these types of buildings has been in decline for the past five years. Indeed, from Central Michigan University to Wawasee High School in northern Indiana to UNC Charlotte to Montgomery County in Maryland where a six-year school construction budget plan is under discussion, schools of all types and sizes are revitalizing plans for growth and new construction. And these kinds of surveys and forecasts have lent themselves to ever-growing optimism among HVAC industry leaders. According to an ASHRAE/AHR Expo survey sent to more than 1,000 manufacturers worldwide, 79% of respondents said their prospects for business in 2014 were either good (60%) or excellent (19%) — and that was up from 70% in 2013. 90% predicted their sales to increase in 2014, and those predictions were evenly divided among jobs classified as new construction, maintenance/replacement, and retrofit/renovation. So how do you feel about 2014? Are you feeling cautious, or is the future so bright you’ve got to wear shades? Let us know your outlook for the new year in the comments below. Felt. Sparkles. Bells. Winking, blinking Christmas lights. To some, these festive decorations portend the Christmas season in all of its glory and joy. But unfortunately, some choose to deploy these otherwise benign baubles into deranged holiday fashion nightmares. Oh, the humanity! The horror. Who wore it worst? Tell us which Ugly Sweater gave you the hives in the comments below. You are a controls contractor who installs current switches. A job calls for the installation of fifteen current switches on a variety of motors with different ratings. You have two choices of current switches, a fixed set-point or an adjustable set-point switch. The fixed set-point switch is great because you can do the install without ever working on a live circuit, increasing your safety and eliminating the chance of dealing with an arc flash incident. The only problem is that you have 15 switches to install and you do not know the horsepower of each of the motors, so you are forced to carry a number of different set-point switches in order to make sure that you have enough switches with proper set-points to complete the job. Not only is it expensive to carry this type of inventory, but unless you carry fifteen of each switch, you can’t guarantee that you have the necessary switches for the job. If it happens that you run out of one type of switch, you may have to come back another day with the sufficient number of switches, costing you not only inventory but also time that you could have spent on another job site. The adjustable set-point is flexible enough to be used on a variety of different powered motors, thus it eliminates the cost of carrying excess inventory. While increased convenience is great, it also compromises your safety by increasing your risk of experiencing an arc flash hazard. During an installation of an adjustable current switch, the installer is working on an energized circuit and must wear a PPE (Personal Protective Equipment) Suit. The installer must adjust the potentiometer with an insulated screwdriver until the LED indicates that the switch is at the appropriate set point. Arc flash hazard is unpredictable and can be caused by one of a number of different circumstances, making installing a current switch within a live enclosure a dangerous job. Is the money saved from carrying fewer inventories worth the price of your safety? Until recently, these were the only two options for controls contractors; however a recent innovation from Setra Systems will change the way controls contractors can purchase and install current switches. Setra’s new Sure-Set Split Core Current Switch (Model SSC) offers all of the same cost savings associated with the adjustable current switch without compromising the safety of the installer. Each Sure-Set (four models) has nine pre-configured set-points, allowing the installer to safely match the settings of the switch to the rating of the motor and complete the installation on a cold circuit, eliminating the need to make any adjustments in the vicinity of a live enclosure. 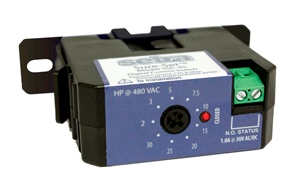 Most motors where these switches are installed are rated in horsepower (hp) rather than amps. Calculations can be time consuming if the installer needs to match the amp settings on the switch with the hp settings on the motor. The Sure-Set is calibrated in horsepower, with a scale that covers the most common motors which saves the installer time because there is no need to make any calculations. The scale selector also has mechanical detents to assure the installer that the correct range has been selected. The Sure-Set is the answer to the problems of every controls contractor. Not only does it solve your inventory and safety issues, you can also save time on installation because there is no need to wear a PPE suit. The Sure-Set is a contractor’s best opportunity to save money on installation, inventory and safety. Ditch the suit, cut your install time and put the savings back in your wallet. See pricing and specifications for the Setra Systems Sure-Set Current Switch on alpscontrols.com. Learn more – watch the Setra Systems Sure-Set video on our YouTube channel here. ©Setra Systems, Inc. All Rights Reserved. Once again, we’re offering exclusive CAN2GO product training at our Pittsburgh office, 10.29 – 10.30.13. We had a terrific response last year when we offered you the opportunity to visit our Pittsburgh office and participate in a two-day product and programming training session for CAN2GO products. So this year we thought we’d go ahead and do it all over again. We’re funny like that. And now we’ve got your chance to learn much more about CAN2GO when we host an exclusive training session on October 29th and 30th. Yes, that’s coming up soon. So you’d better hurry up and read the rest of this. In this jam-packed two-day session, you’ll get an overview of network design and CAN2GO wireless technology planning; an overview of CAN2GO product capabilities and Lua scripting – including how to program HVAC and lighting applications; and you’ll receive hands-on exercises in configuration, wireless planning and Lua scripting. Even better, once you’ve completed the training you’ll be eligible to purchase CAN2GO products on alpscontrols.com at a specially-discounted pricing. This is a must-attend training event because we are the only U.S.-based resource for purchasing CAN2GO products and we have limited availability that’s getting scooped up fast. The cost for the two-day session is $495. To register, send an email to Curtis McCormick in our office here. Please include in your email your name, company name, and phone number. Plan to bring your laptop with Firefox installed – and here’s where you get Firefox if you don’t already have it. Time is flying – so register NOW to ensure you get a seat. Let’s hear your opinion: answer our one-question product development poll. 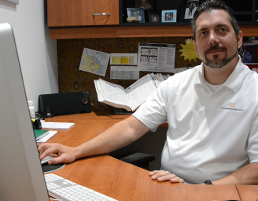 In the close collaborations that we form with the manufacturers whose products we sell on our site, we frequently get into deep “what if”-type discussions about products, industry trends, and how to work together to meet the challenges of building automation pros such as yourself. And usually what happens next is that those manufacturers return to their design and engineering teams to come up with exciting and innovative new products for you to use. Would you be interested in purchasing a wireless CO2 sensor - one that could be installed without the need to attach power or a signal wire? Yes! I can think of a number of applications where I'd use this. Nope. Not much call for that around these parts. Join us for our June webinar: Creating Material Kits on alpscontrols.com. Last month, we hosted our first Project Management Tools webinar, and in fact we pulled it off – if we humbly do say so ourselves – rather successfully. Both webinar sessions were filled to capacity, we took a handful of great questions, and our attendees have given us some terrific feedback. So naturally, we’ll tempt the gods of fate once more and ask our resident Senior Webinar Host and Online Tools SuperGenius™ Jim Kalafatis to cover a new topic in June. Is that overselling it? We certainly hope so. Either way, on June 11th, 2013, at 10:00 AM EST and June 18th, 2013, at 3:00 PM EST, Jim will show you how to build a material kit in your alpscontrols.com customer dashboard. “What’s a material kit,” you say? Good question! It’s an online tool that helps you create a kit of parts that you order with regularity. This allows you to build, for example, a panel with all of the parts inside it, or a VAV box assembly, or anything you want, with as many parts as you want. And once you’ve built a material kit, you can save it in your online account and order it with a single click as many times as you want in the future. The webinar will be about 30 minutes long, and it’s ideal for control contractors, purchasing agents, accounting folks, project managers — pretty much everyone at your company. The only requirement is that you need to have a customer account on our site; if you currently don’t, you can register here and we’ll create an account for you before the webinar. To register for either webinar session, email Jim Kalafatis here and tell him your name, title, company, and which session you’d like to attend.